Syria President Bashar Assad’s forces targeted Sunday Times correspondent Marie Colvin and then celebrated after they learned their rockets had killed her, according to a wrongful death suit filed by her relatives. New court documents unsealed yesterday include a sworn statement by a former Syrian intelligence officer, who has defected from the war-ravaged nation. The intelligence defector, codenamed Ulysses, provides a detailed account of how Assad’s military and intelligence officials sought to capture or kill journalists and media activists in Homs, a centre of the pro-democratic revolution that erupted across Syria in the spring of 2011. The Syrian Government has not responded to the lawsuit, but Assad has denied that his forces targeted and killed Colvin in 2012 to silence her reporting on the conflict. The 56-year-old veteran war correspondent was reporting on the Syrian Government’s bombing of residential areas when she was killed by a rocket attack on a media centre. The defector’s identity and allegations contained in his affidavit could not be independently verified by the Associated Press, but his account is corroborated by Syrian Government documents filed as evidence in the case. The defector said that in his former role he reviewed intelligence and surveillance reports, arrest orders and field reports during 2011 and 2012 from around the country. He said he was privy to open and secure communications broadcast over hand-held radios issued to him and all other intelligence officers. The defector currently lives legally in Europe because he fears he is wanted by Syrian intelligence officials. His deposition includes a flow chart identifying eight Syrian officials who were involved in the attack on the media centre where Ms Colvin was killed. The defector said the eight include Assad’s brother, Maher, who leads the army’s elite 4th Armoured Division. He claims Assad’s brother gave one of the eight officials a new Hyundai Genesis as “a reward for the successful operation” against the media centre in Baba Amr, a working-class neighbourhood of Homs. The Centre for Justice and Accountability, based in San Francisco, filed the wrongful death suit against Assad in 2016 on behalf of Colvin’s relatives, including her sister Cathleen. The new court records became public after being unsealed by US District Judge Amy Berman Jackson. The defector’s account is consistent with another deposition in the case from Annouar Nouar, a former Algerian member of an Arab League observer team. He said a deputy Syrian defence minister told him that “the media was his main problem” and that Baba Amr could be destroyed in 10 minutes if there were no video cameras. Mr Nouar said the deputy defence minister referred to The Washington Post and New York Times as “terrorist newspapers”. “The actual maliciousness that the Syrian regime had against Western reporters and their Syrian counterparts and sources is on display through multiple witnesses and multiple documents,” said Scott Gilmore, a lawyer for the plaintiffs. By the end of 2011, the lawsuit said, Syrian forces had encircled Baba Amr with checkpoints, tanks and artillery. After learning that Western journalists were arriving in Baba Amr from Lebanon, Syrian forces were ordered to intercept their communications, track their movements and locate their media centre so they could be captured or killed, according to the lawsuit. The Syrian forces used a mobile satellite interception device that could tap broadcast signals and locate their origin, the lawsuit said. Still, Syrian forces were not able to locate the media centre, which was on the ground floor of a three-storey apartment building. The journalists were using a clandestine satellite and proxy internet services to mask their location. Colvin and photographer Paul Conroy sneaked into Homs through an underground water tunnel. In Baba Amr, they toured a field hospital and a cellar called the “widow’s basement” where mostly women and children sought shelter from the bombs. They fled through the same tunnel and filed a story, which was published on 19 February 2012. The next day, the two returned to the media centre where they witnessed even heavier shelling that kept them from fleeing. 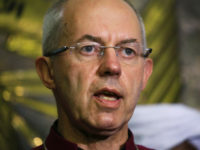 They stayed and on 21 February 2012, Colvin gave live interviews over the media centre’s satellite link to the BBC and CNN. Syrian forces were “shelling with impunity and a merciless disregard for the civilians who simply cannot escape”, she said. That day, an informant told Syrian intelligence officers the location of the media centre. 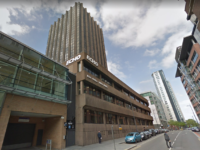 That corresponded with information they obtained from their satellite interception device, which had pinpointed that same location as the place where Ms Colvin did her broadcast interviews with the BBC and CNN, the lawsuit said. At about 9.30am local time on 22 February 2012 the centre was destroyed by several rockets. Colvin and French photographer Remi Ochlik were killed and several other people were injured. Colvin had years of experience in war zones, covering conflicts in Chechnya, Kosovo, Sierra Leone, Zimbabwe, East Timor and Sri Lanka, where she lost the sight in her left eye in a blast. The black patch she wore over her eye became her trademark. Her sister is seeking an undetermined amount for the emotional pain of losing her sister, compensatory damages for her three children, who are beneficiaries of Ms Colvin’s estate, and punitive damages against the Syrian Government. “Their only response in this case is an interview Assad gave to NBC the week the suit was filed,” Gilmore said. 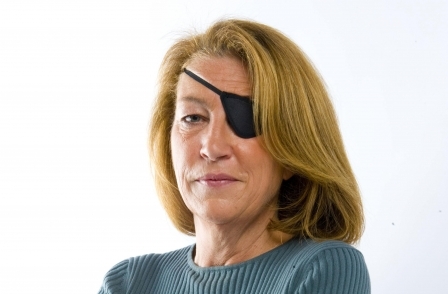 Is the article about the claim surrounding the death of Marie Colvin or how guilty the Syrian government is? This claim has been widely discredited given the thousands of mercenaries who were shipped into the country prior to 2011, as well as foreign national activists, just as occurred in Libya. The article doesn’t provide balance nor perspective to the assertions of an unnamed informant, in fact all we have is the last paragraph that essentially portrays the Syrian response as plain callous. This level of reporting does little service.